Fancy your own pair of custom made in-ear headphones? Well the JH Audio 16 Pro headphones are individually hand built using molds of the customers ears, which are created by audiologists for around $100. Once the molds have been created each phone take around five hours to assemble. But the wait and the $1,149 might be worth it is you need the best clarity possible. Using an ear canal seal the JH Audio 16 headphones are capable of fantastic clarity compared to standard in ear designs and the canal seals help reduce the sound from your surrounding environment. To create the tight fit to need to seal the canal the JH16 need to be screwed into position and then unscrewed in the opposite direction when you would like to remove them. 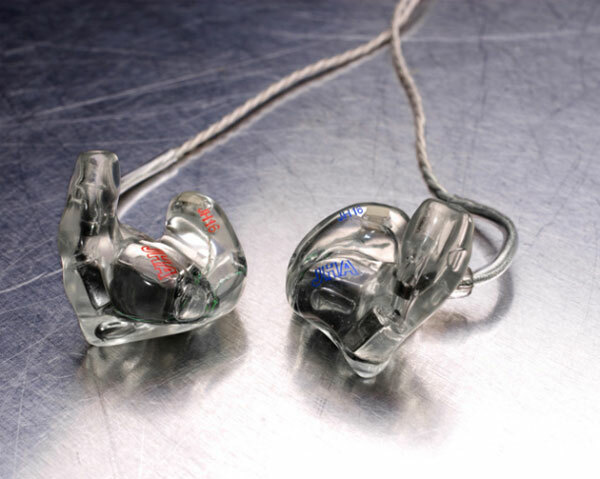 If your fanatical about your music and require professional clarity and can afford $1,149 then the JH16 Pro In-Ear Phones sounds like the ones to get.